"VISITOR NIGHT AT THE UCI OBSERVATORY"
This will be our *VERY LAST* Visitor Night at our current location! In August, we will demolish the current observatory and build a new larger one inside a 1.5 acre park located very close to our current site. We hope to have the new observatory up and running after about a year. So please come and celebrate this historic final night with us. Use our telescopes to catch a glimpse of Mars, Saturn and its moons, the planetary nebula known as the Ring Nebula or M57, and star clusters like the amazing globular cluster M13 which contains approximately half a billion stars. Learn how to use a night sky map to locate your favorite stars and constellations in the Summer sky. Enjoy to a short lecture by Professor Kevork Abazajian entitled "The Dark Universe", and learn about the nature of mysterious of dark matter that binds our Galaxy, as well as all other galaxies, together and produces the network that is thelarge scale structure of our Universe. Also learn about another dark component, "dark energy", which is making the universe expand at an ever increasing rate and whose discovery led to the 2011 Nobel Prize in physics. 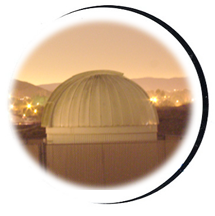 Visitor Nights are open to the Friends of the UCI Observatory and to the general public. We gratefully thank the Friends of the UCI Observatory for financial support that helps us provide Visitor Nights for the public and will help us continue providing science outreach and education at our new Observatory. Visitor Nights are free of charge, although we suggest a $5 donation per family to defray the costs, and parking on campus costs $2/hr or a maximum of $14. Visitor Nights are open to the public so feel free to forward this message along to friends and neighbors who might be interested. These nights are fun for the entire family - children, teens, parents and grandparents. Please remember to dress warmly because it can be cold and bring along flashlights to safely see your way down the observatory's gravel road. Please include the following in the Subject line: "Subscribe" or "Unsubscribe", respectively. We're looking forward to seeing you at the Observatory!